Erica Tazel as Barbara Kolstad (Joe Pugliese / CBS). THR reports Erica Tazel will not be a series regular in the second season of The Good Fight TV show on CBS All Access. According to the report, she may return as Barbara Kolstad, in future episodes. As Tazel departs, Michael Boatman and Nyambi Nyambi have been promoted as series regulars in season two. The Good Fight stars Christine Baranski, Cush Jumbo, Rose Leslie, Lindo, Sarah Steele, and Justin Bartha. The CBS All Access sequel picks up one year after the events of The Good Wife TV series finale. As we reported earlier this week, Audra McDonald is reprising the role of Liz Lawrence, which she originated in season four of The Good Wife on CBS. 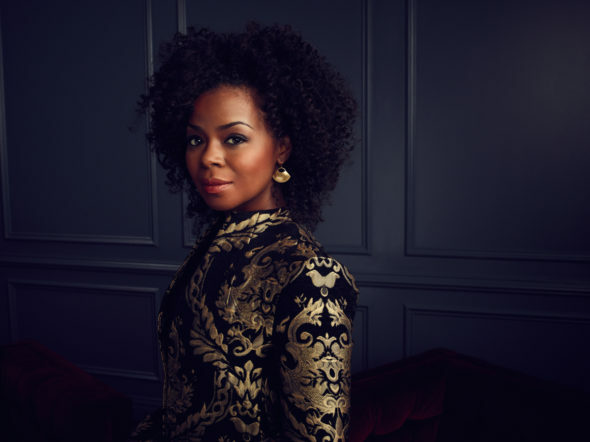 Tazel was the final castmember added to The Good Fight for its first season. Her casting was announced when the title for the offshoot was unveiled in October. The series, which launched on CBS and CBS All Access in February, was the streamer’s first original scripted series after Star Trek: Discovery was delayed. Tazel is also known for her role on Justified and can currently be seen on the NBC medical drama The Night Shift. The Good Fight, season two, is expected to premiere on CBS All Access in early 2018. What do you think? Will you miss Erica Tazel in season two of The Good Fight? Do you still plan to tune in? Let us know, below. Sad to hear of the departure of Barbara (Erica). She was a good match for Diane. Enjoyed watching the two of them together in scenes.